Helen Gilbart was born in London and is an award winning artist whose work focuses on time, place, history, memory and silence. Through residencies and commissions, she has worked extensively in the UK and abroad with a particular interest in the environment. 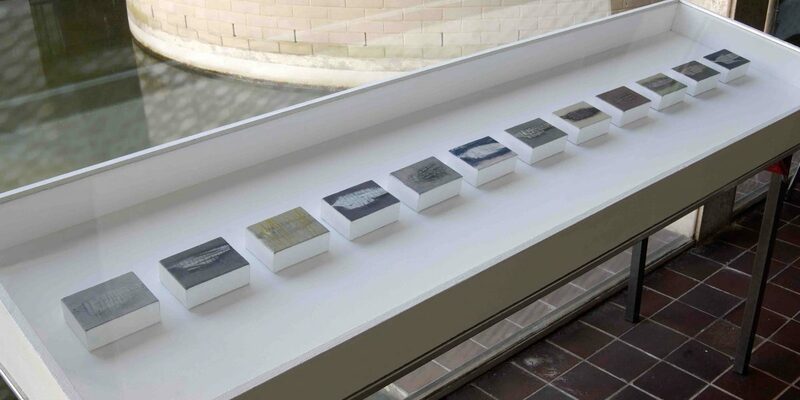 As a Joint Honours Geography / Fine Art graduate, Gilbart studied as a postgraduate in Fine Art at Central St. Martins and bronze foundry practice at Sir John Cass School of Art. Gilbart’s awards include those that have enabled her to spend extensive time in Mediterranean landscapes: including a year residency in Cyprus and another for over a year in Andalucia. Other residencies include artist in residence in the Earth Sciences Department at the University of Cambridge between 1999 and 2006. In 2009 Gilbart was funded to work at the UNESCO Burgess Shale fossil beds in British Columbia as part of Darwin200. Gilbart has just completed an extensive body of paintings that is now being documented as a film.